What do the campaign by radical Muslims against Taslima Nasreen, the case against Reliance Communications Ltd chief Anil Ambani (for hurting the sentiments of Sikhs) and vitriolic election campaigns in Gujarat have in common? In all instances, an available law (Section 295A of the Indian Penal Code, or IPC) was either misused, or was not used by the government. 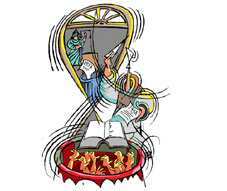 In the first instance, religious zealots wanted to misuse it by pressuring the government. One view of the law, which has it origin in economic interpretation, holds that it is a strategy-limiting device. For example, in the case of Section 295A of the IPC, the law prescribes punishment for those acts “intended to outrage religious feelings of any class by insulting its religion and religious beliefs". What this means is that indulging in such an act is not an option for citizens. It has limited what would have been possible otherwise. It’s plain that Section 295A has not worked. The consequences of this failure manifest in two ways. One, the law no longer serves a punitive purpose. Ever fewer prosecutions are successful under the law in a communally charged environment. Two, and more seriously, its deterrent function, too, has failed. It no longer deters potential violators. Politicians are the best example of such violations. Election campaigns in Gujarat in 2002 and in 2007 are good examples of such failures. The argument that laws are ineffective because of political interference in their prosecution is a common explanation in the defence of laws such as Section 295A of the IPC. The refrain being that if only we had neutral, unbiased officials, these laws would serve their purpose. Gujarat in election mode, in both years, was under the executive control of the Election Commission of India, a body widely held to be neutral and unbiased. Yet, there was no prosecution against any politician. Then what purpose does Section 295A serve? Once its punitive and deterrent functions are out of the way, the only purpose a law can have is to be a tool for the regime of the day. Anyone whom the regime sees as a threat or does not like can be hounded by the law. Unfortunately, the potential for abuse of Section 295A by the law and order bureaucracy, abetted by their political controllers, is very serious in India. The examples cited above point to this. The possibility of political abuse of Section 295A was in evidence when an influential Muslim family of Hyderabad, with great influence over the community in the city, wanted the government to deport Nasreen or take “action" against her. Religion is a sensitive part of human affairs. It’s no different in India. The experience of partition of the country and the communal fire that followed was hoped to be checked by declaring the country secular and proclaiming the secular nature of the state. To activate this intent, laws followed. Yet, today, 60 years after independence, the spirit of secularism has ebbed. If the state is secular, that can’t be said of society at large. Secularization, the process by which religion takes a back-seat in routine, day-to-day affairs, has failed. No law can supplant this political development. If an equilibrium outcome is not part of the game, no law can realize this. A Sanskrit adage has it that conventions are stronger than rules. It’s no different for laws intended to combat adverse social and political outcomes. The arena to counter such developments is political. For the sake of liberalism, it’s best that organs of the state have no such tools.